Please join the Board of Directors of the Lifesaving Society – Manitoba Branch in extending best wishes to Carl Shier, who has retired after 13 years of service to the Society as its Chief Executive Officer. 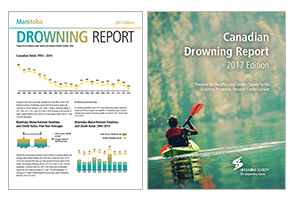 Carl often referred to the Society as Manitoba’s best-kept secret, and his work was continually propelled by his drive to share drowning-prevention messages and lessons far and wide. He forged strong partnerships with our provincial government along with communities and organizations throughout the province. These partnerships have led to initiatives such as the award-winning Northern Water Smart Program and the Society’s stewardship of the Manitoba Coalition for Safer Waters. Carl came to the Society with a lifetime of professional communication and PR skills that he gained as the Winnipeg Police Service’s spokesperson. Through his time as CEO for the Branch, Carl used these talents to elevate the profile of our organization, ensuring Manitobans knew to look to the Society for information about drowning prevention. His work fortified our reputation as Manitoba’s lifeguarding experts. Our organization has grown and become stronger thanks to Carl’s commitment to our mission, vision, and values, and he has touched many lives in the process. We will always remember his time with us with fondness and gratitude for his many contributions to our present and future. The Board thanks Carl for his many years of dedicated service. We wish him well in his retirement.